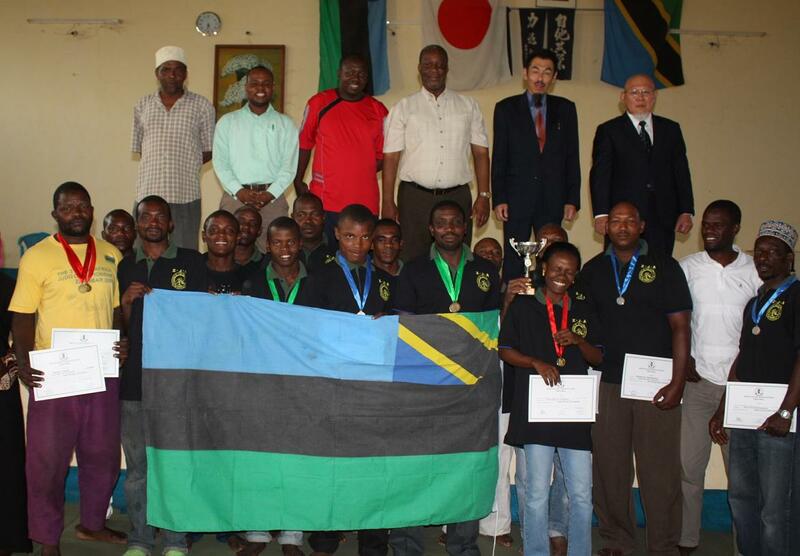 Zanzibar Judo Team had been given Natinal Flag officialy to participate for the 5th East Africa Judo Championship 2011 by Zanzibar Goverment The official function organized by National Sports Council Zanzibar on 02/June/2011 at Zanzibar BUDOKAN. 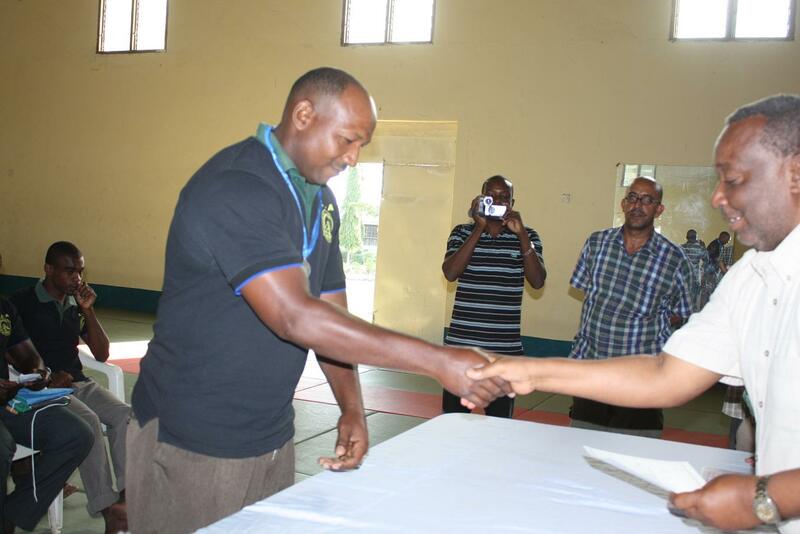 After receiving National Flag, Captain Mohamed promised for getting medals more than last year. 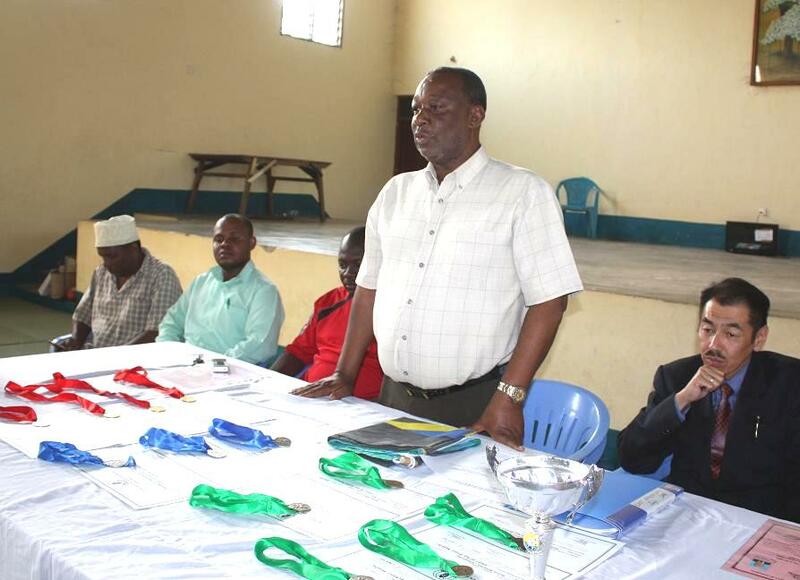 *Honor Guest is Mr.Yussuf Omal Chinda, Mkurugenzi Idara ya Habari na Maelezo. 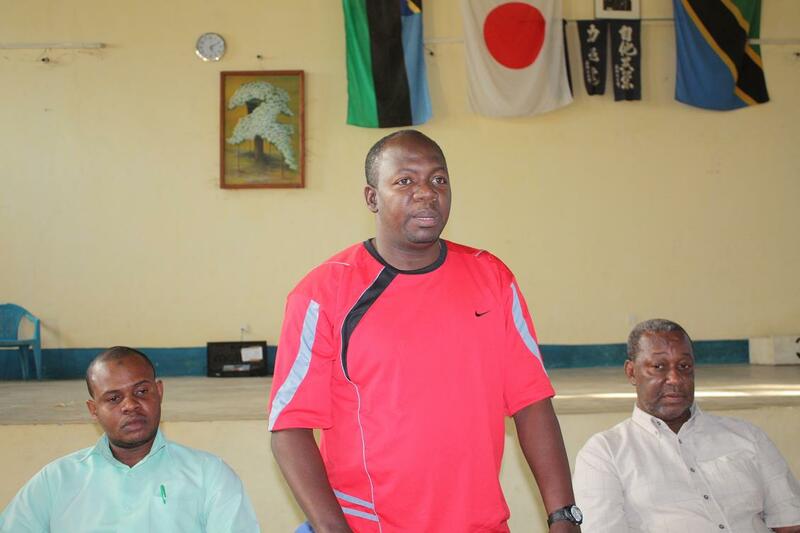 He praised Mr.Shimaoka, President Zanzibar Judo association, that he has continued to teach Judo here and it makes Zanzibar to get much more reputation. 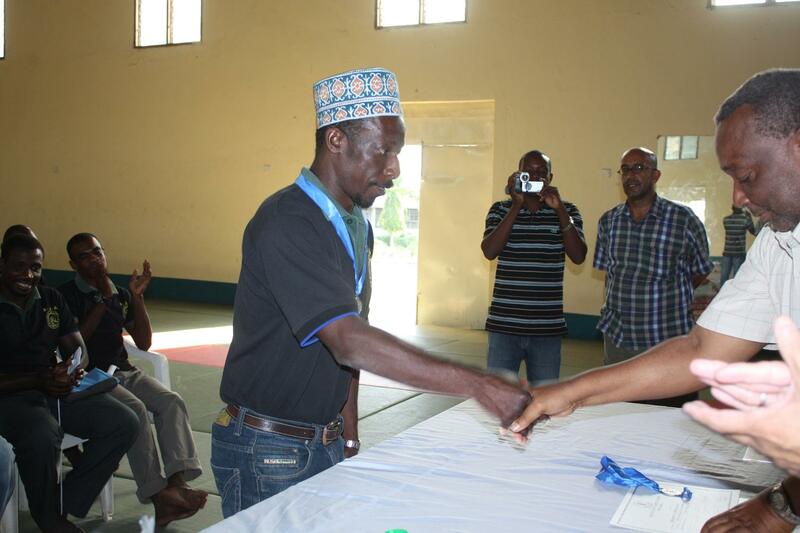 Also, he raised Masoud Amour Kombo, choosen as MVP Tanzania sports men, and he raised the results of the 4th East Africa Judo Championship 2010, last year, getting 12Medals (4Gold, 3Silver and 5Bronze). 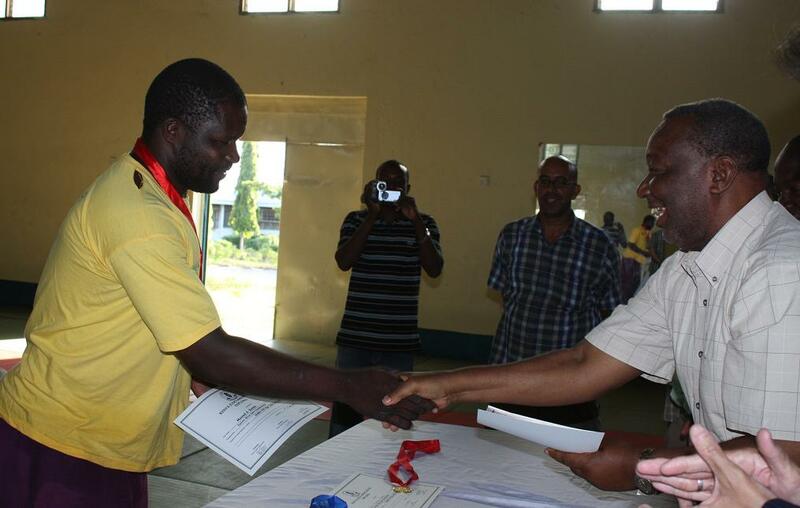 Then he cheered the team to do the best for the 5th East Africa Judo Championship 2011, Dar es Salaam, 17-18/07/2011, and get more medals than last year, and the best result. 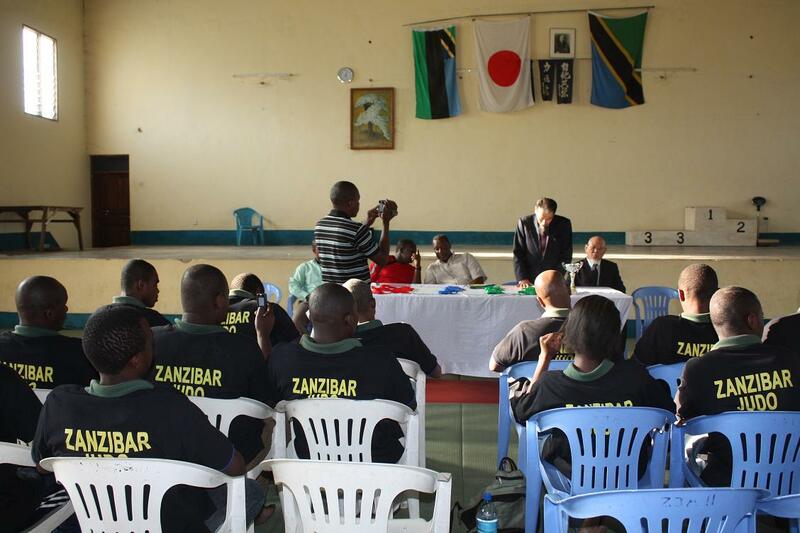 And he told the team to show Zanzibar Judo to the East Africa, All over the Africa, and all over the world. 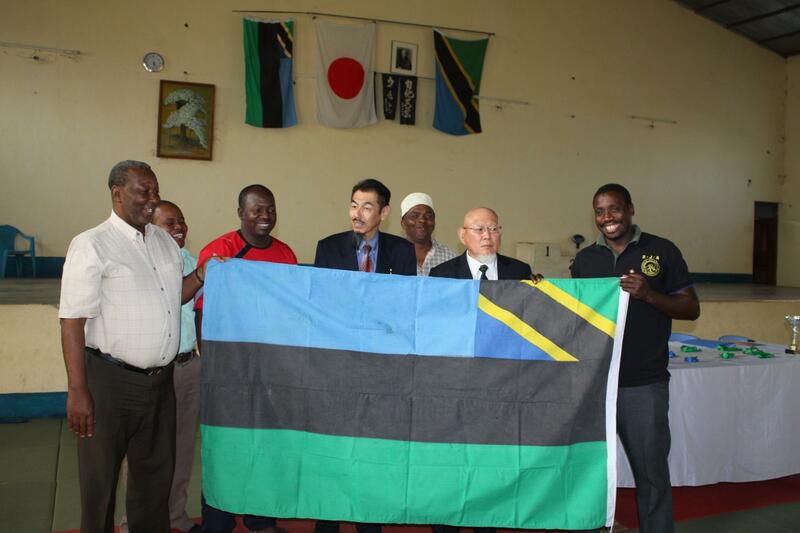 There was the Welcome ceremoney of Mr.Masahiro MAEDA organized by National Sports Council at Zanzibar Budokan in Amaan Zanzibar on Saturday, 02/06/2011. 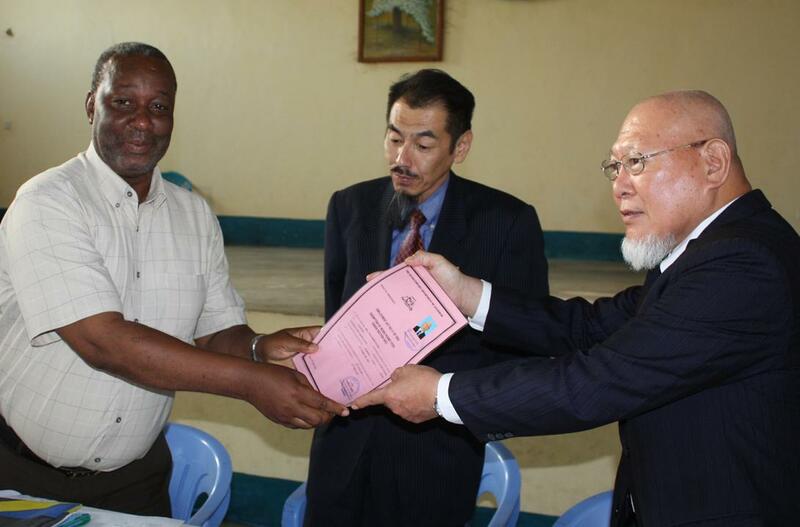 Honor guest gave Mr.Maeda for working permit offiialy. 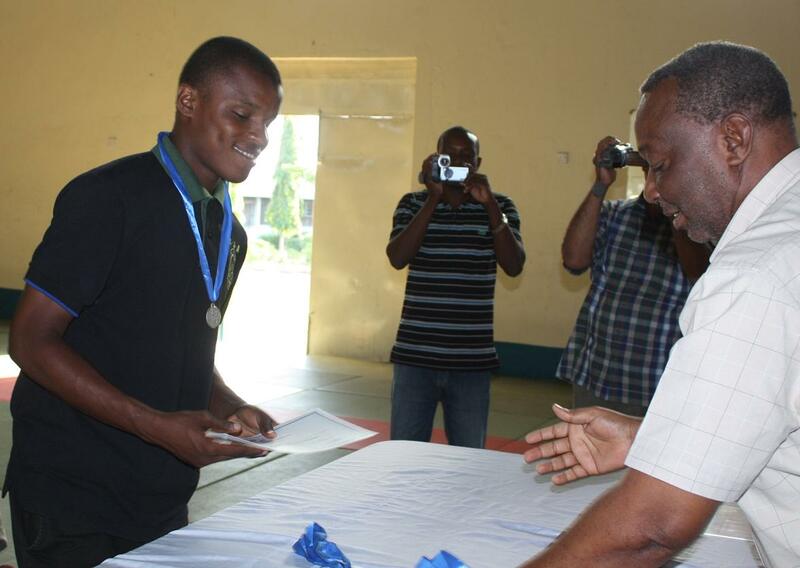 Gift from National Sports Council. 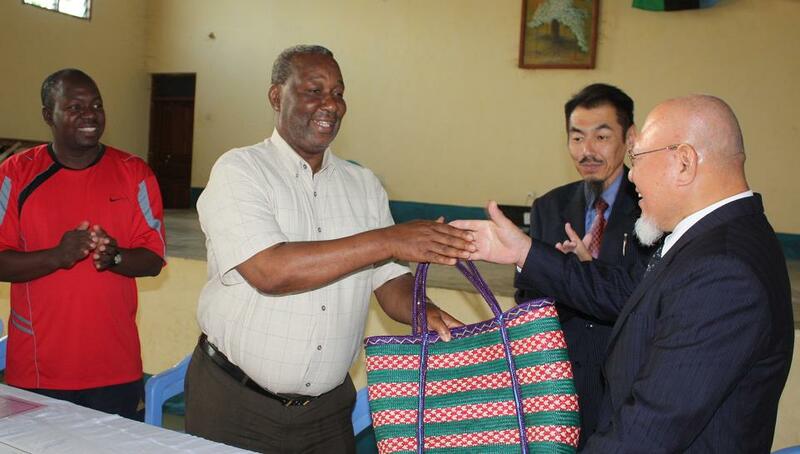 Zanzibar Basket (Mkoba) and Swahili Dictionary. 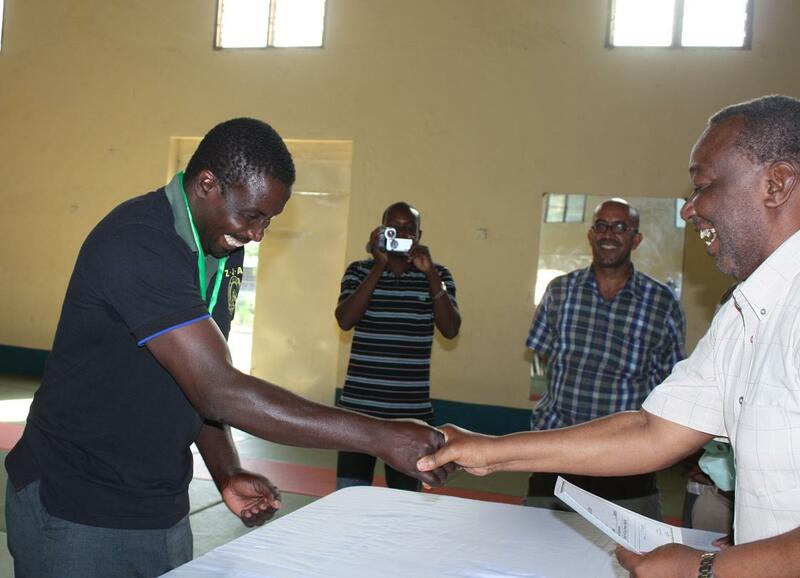 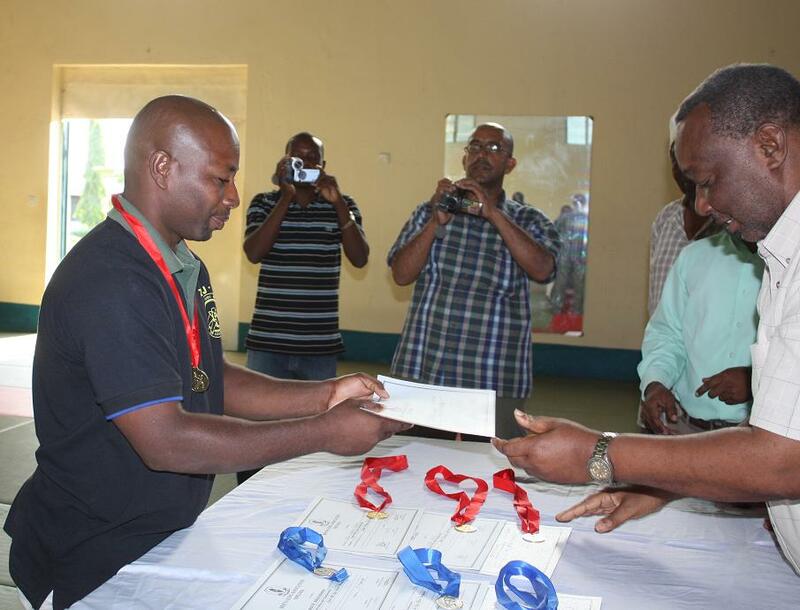 There was the awarding ceremoney for Medals of East Africa Judo Championship2010(last year) . 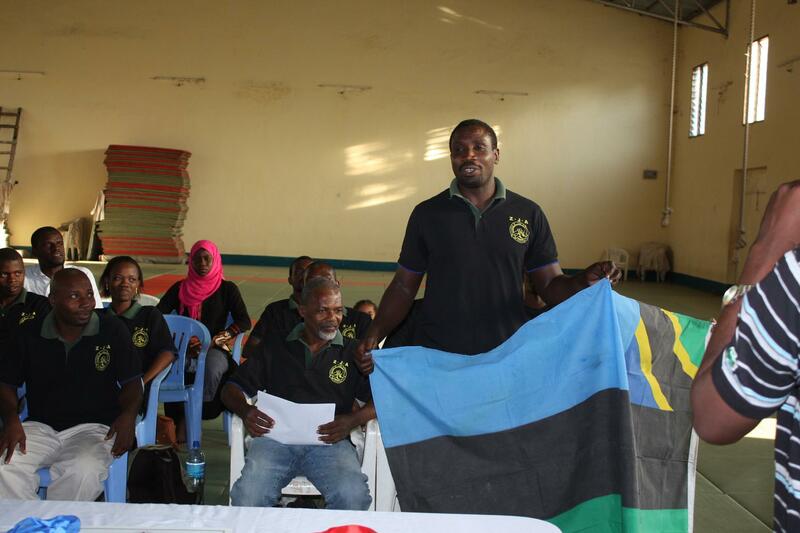 This ceremoney was organized by National　Sports Council Zaznibar on 2/June/2011 (Sat) at Zanzibar Budokan in Amani Zanzibar. 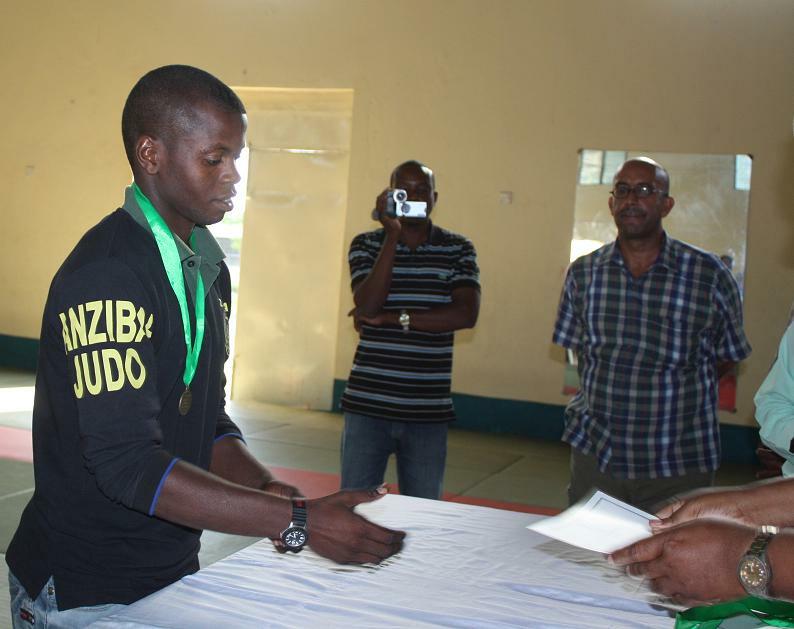 *Last year Zanzibar Judo Team got 12Medals (4Gold, 3Silver and 5Bronze) in East Africa Judo Championship2010, Nairobi, KENYA. 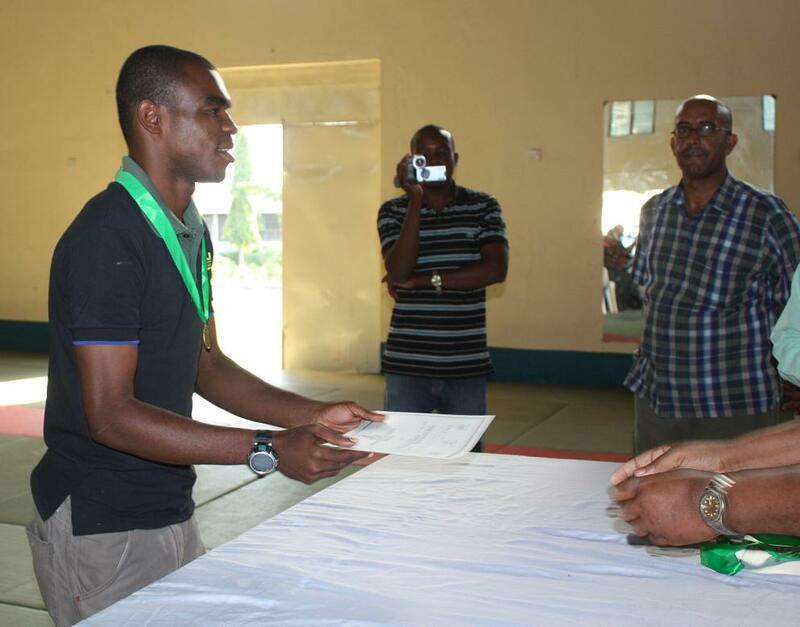 *National Team of this year also is very strong team. 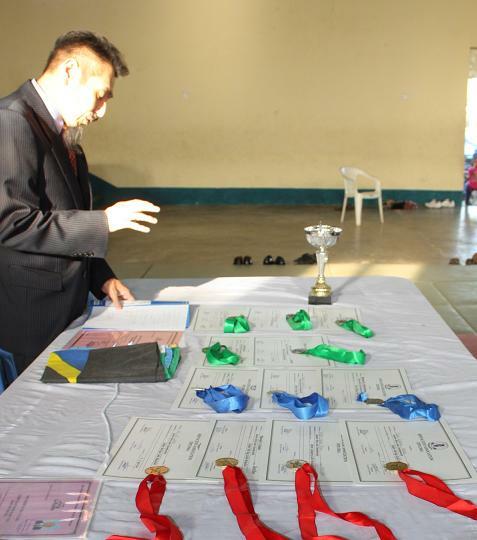 We expect to get many medals more than last year in East Africa Judo Championship2011 Dar es Salaam, 17-18/July/2011. 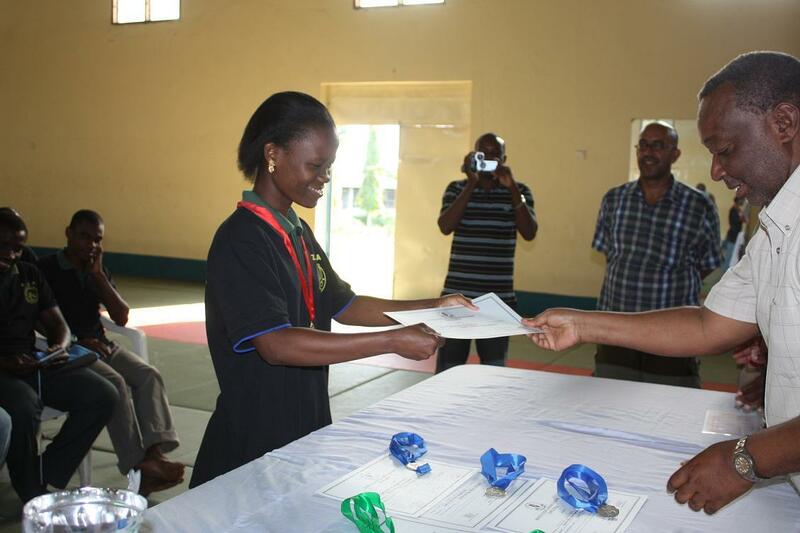 Grace Alphonce (ZNZ)---48kg Women 1st winner. 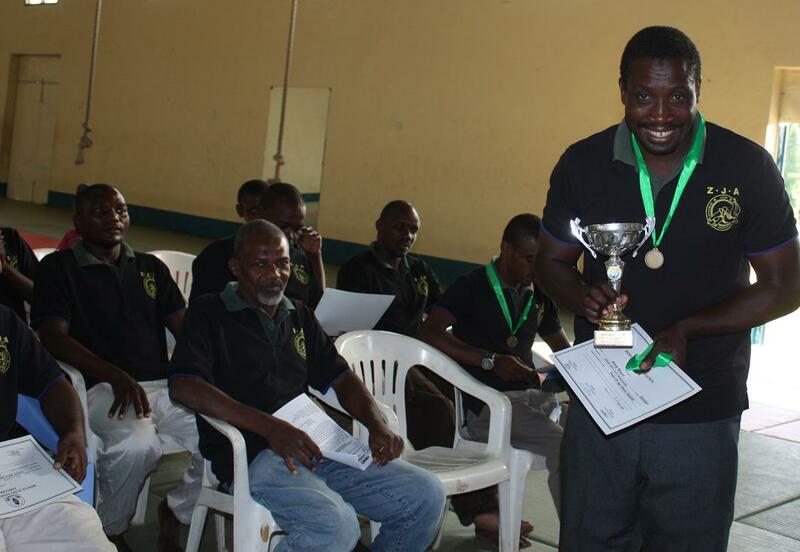 Zanzibar got 2nd position and awarded the Victory Cup for Men.